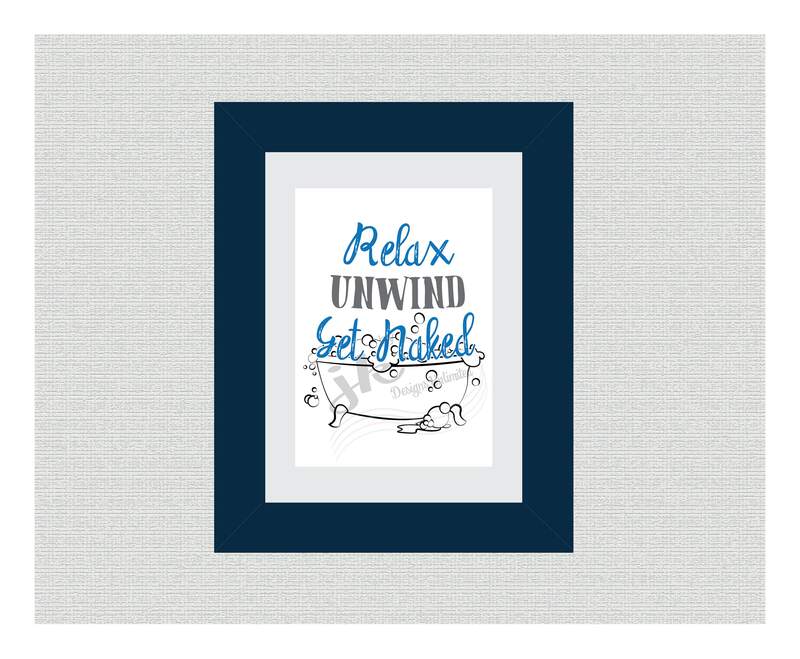 Relax, Unwind, Get Naked Bathroom Wall Art is a beautiful and fun DIY printable Wall Art file. * This listing is for Digial Download only! No physical items will be mailed to you. After your completed purchase and payment has been confirmed you will automatically recieve your downloadable files through Etsy. This download can also be found at www.etsy.com/yourpurchases or the purchases and reviews section of your account. Simply locate your order and click Download to save files to your computer. Printable Downloads can be printed in your home or office, or you can take files to your favorite local print shop to be printed. No refunds or exchanges on digital items once item has been downloaded. This file is for personal or non-for profit use only. You may not copy, share, reproduce, or alter any part of the files without permission.